Cheating has become sophisticated since Rosie Ruiz’s infamous “finish” in Boston in 1980. Almost two weeks ago, a Craigslist post advertised a 2016 Boston Marathon bib number for sale. The bib owner wanted the “best offer” and told potential buyers, “Bonus if you’re on track to qualify me for B-town 2017.” A smiley-face emoji followed. But this was no innocent message. It was an attempt to transfer bibs and break race rules. It was marathon cheating in action. On Monday, if the buyer runs a qualifying time with the seller’s number, then the seller could enter the 2017 Boston Marathon without meeting the required standard. 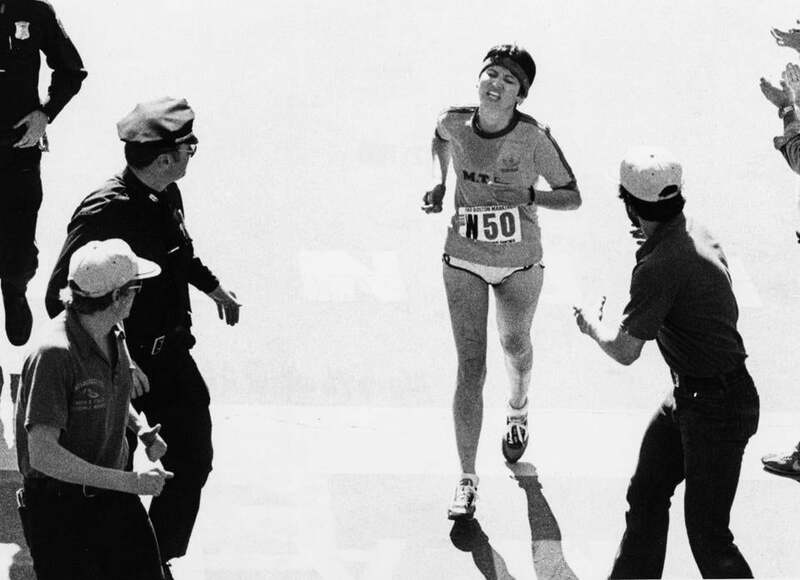 In the 36 years since Rosie Ruiz infamously cut the Boston course and briefly claimed the women’s title, marathon cheating has become both more sophisticated and more easily uncovered. Yes, course cutters, bib swappers and other fraudsters with fast times are out there. But race officials, online sleuths armed with algorithms, and everyday runners are determined to root out the cheaters, especially in major marathons. And runner-tracking technology and social media bragging provide ample opportunity to scrutinize splits, finish times and race photos. Each year, an estimated 50-100 runners gain entry to the Boston Marathon with illegitimate qualifying times, according to online sleuths who intensely examine race results and photos. For perspective, that equals around one-third of 1 percent of the 24,000 qualifiers in the field. The sleuths spot red flags, such as runners who finish Boston an hour or more behind their qualifying times or men in qualifying races with bibs registered to women or competitors who miss timing checkpoints and look remarkably fresh in finish-line photos. Meanwhile, Boston Athletic Association executive director Tom Grilk noted that the BAA expunged 23 finishers from the 2015 Boston Marathon results after officials examined electronic checkpoint data and couldn’t verify that certain competitors completed the whole course. After the 2014 marathon, a year with increased overall participation because it marked the first anniversary of the bombings, 50 finishers were disqualified for the same reason. For the BAA, two or more missed checkpoints raise concern. Still, recent, high-profile cases of alleged and admitted cheaters have prompted more outrage and more policing from the distance running community. The latest example of a cheater gone viral was Gia Alvarez. She qualified for the 2015 Boston Marathon, but couldn’t run and gave her bib to a friend who had not qualified. Her friend ran fast enough last year to re-qualify Alvarez for the 2016 race. Before the BAA was tipped off to the deception, Alvarez planned to be at the Hopkinton start on Monday. Now, she has been banned from all future BAA events for life. Race organizers need to know who will be on the course. They need to know that runners are who they say they are for security reasons. And they need to know each bib number is connected to accurate emergency contact information in case anything goes wrong on race day. Since major marathons such as Boston have so much to worry about year-round, Grilk said race officials appreciate the vigilance of the wider running community. Avid online sleuths such as Derek Murphy take deep dives into race results around the world that would be too time-consuming for the BAA on an annual basis. Then, he relays his findings to race officials and posts them online. Last April, Murphy launched the “Marathon Investigation” blog to bring greater awareness to marathon cheating. The business analyst based in the Cincinnati suburbs spends his spare time picking apart race results with an algorithm he developed to detect course cutters and bib swappers, including “bib mules” who run marathons with the express purpose of earning qualifying times for someone else. Murphy has identified 54 runners who illegally gained entry to the 2015 Boston Marathon. That number, he said, includes 33 who received bib numbers from legitimate qualifiers, 12 who cut the course at qualifying races, seven who appeared to rely on falsified race results and four bib mules. Murphy found no typical cheater profile, though there were 37 men and 17 women. They appeared in every age group from the youngest (18-34) all the way to the 65- to 69-year-old category. In addition to the US, they came from five different countries — Australia, Canada, France, Italy and Japan. The Boston Marathon’s prestige, tough qualifying standards and no refunds/no deferments policy pushes some runners toward the dark side. Some desperately want to bask in the amateur running glory that comes with qualifying, but find the time standards impossible to reach legitimately. Some suffer injuries or can’t make it to the Hopkinton start or simply know they won’t finish. And all that creates temptation, irresistible temptation for dozens of runners. When Gregory Price finished the 2015 Marine Corps Marathon in 3:17:47 and placed second in the 60- to 64-year-old age group, he attracted the attention of race organizers and online sleuths. Runners who claim awards or place among the top in their age groups always draw more attention. Checkpoint data showed that Price disappeared from the course for 50 minutes, then reappeared about 5 or 6 miles from the finish. In the process, he had missed electronic checkpoints at the 25-kilometer and 30-kilometer marks. Not only that, Price had run in the Marine Corps Marathon every year since 2011 and missed the same checkpoints. Race officials reached out to Price several times. When he finally called back, the veteran runner admitted to cutting the course and received a lifetime ban from the marathon. Last November, Anderson notified the Boston Marathon registration office that Price had cheated multiple times in the Marine Corps Marathon, including in 2014 when he posted a qualifying time for Monday’s race. He was promptly removed from list of official 2016 entries. But not all instances of suspected cheating end with a confession. Many in the distance running community remain convinced Mike Rossi didn’t run the entire 2014 Lehigh Valley Marathon to qualify for the 2015 Boston Marathon. But he maintains his 3:11:45 qualifying time is legit, despite a running résumé that indicates he wouldn’t be capable of that time and a mysterious lack of photo evidence. He wasn’t captured at any of the race’s seven photographic checkpoints. That reply garnered national media attention and put his qualifying time and Boston finish under greater scrutiny. He ran 4:01:42 at the 2015 Boston Marathon in cold, rainy, windy conditions. Last July, LetsRun.com, a website where many runners air suspicions of cheating, offered Rossi $100,000 if he ran 3:11:45 again on a legitimate course. No 3:11:45 yet, and Robert Johnson, co-founder of LetsRun.com doesn’t expect one before the offer expires in a few months. When asked why he offered the reward, Johnson said, “I did so because I wanted the world to know there is zero chance Mike Rossi ran a 3:11:45 marathon. Zero. By offering the money, I thought that was an easy way for people to understand how convinced of this fact we are. People who don’t truly understand running might also think that marathon cheating is a victimless crime. True, nobody is physically hurt or financially harmed when runners transfer numbers or hire bib mules or cut courses. But there is a ripple effect, especially with the Boston Marathon. Here’s why: Runners who fraudulently qualify take the place of runners who legitimately meet the marathon’s time standards. “If I was one of those people on the cusp of making into the Boston and I found out that x number of people cheated to get in, I’d be miffed,” said Jonathan Cane, another avid online sleuth, exercise physiologist and running coach. “When it’s my athletes [who lose out because of a cheater], I’m very aggressive about it.